Social Media is inevitable and we can all relate to how influential it is. It helps create magnetic perceptions in clients' minds while establishing a rock solid and meaningful presence on social media platforms that include FaceBook, You Tube, Instagram, Twitter, etc. The right execution of marketing steps on social media can do wonders in terms of steering customers’ perceptions in the needed direction! Accounts on almost every popular social media website like Facebook, Twitter, MySpace, etc. Social Media Marketing has proven to be a realistic and potentially lucrative approach for brands and businesses of all sizes, located worldwide – looking to promote their brands online. Since more and more companies continue to jump on the social media bandwagon, it is more important now than ever that you provide value rather than adding to the existing clutter on the social web. At Rockon I.T, our analysts track and enumerate the results of your campaigns – allowing us to learn from our current efforts and apply it to future iterations. Your Voice, Our Strategy – Let’s Implement! 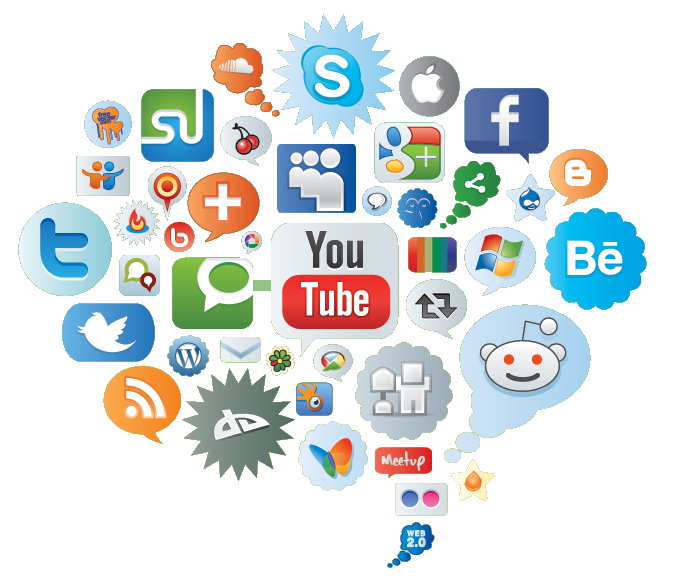 At Rockon I.T, we believe that social media is not a stand-alone endeavor or a “be everywhere at once” strategy! It might include sharing relevant content that engages prospects and turns them into loyal advocates – building relationships and driving measurable results that are perfectly aligned to your business goals. Building your brand on diverse social media platforms is important. When people across the world know about your brand, there is a better chance of getting potential buyers. We optimize your website along with its services & products on leading social media communities and outlets such as Facebook, Twitter, LinkedIn, Pinterest, Google+, etc. – to create brand awareness, enhance website visibility, and attract more customers & inquiries. Our SMO activities are completely focused on Brand Building & Promotion, Business Page Optimization, Facebook and Twitter Promotion, Photo and Video Sharing, Reporting, Research & Analysis, Social Bookmarking, Blog Optimization, and Brand Reputation Management. We work with you to build targeted social media campaigns, focusing on your customers & industry events – helping you broadcast your brand, engage your target audience, and measure your social media ROI. Our holistic integrated approach to social media marketing keeps you on the right track across all your social media campaigns. We create diverse social media campaigns based on Awareness, Consideration, and Conversion, with the aim to increase brand awareness, enhance website credibility, reach targeting market fragment, generate more leads, and amplify sales & return on Investment (ROI). Social Media Insights works on ‘behind the scenes’ concept – helping you summarize the actual meaning behind the performance of all your social media channels. At Rockon I.T, we believe that social media research can help businesses make better strategic decisions. Our highly skilled and experienced team of professional researchers gains insights on consumer behavior using cutting-edge technology – helping you analyze the performance of your social media activity, gain critical insights, track key influencers, monitor your website traffic, optimize your campaign’s overall value, and enhance your social media metrics with competitive context. Remarketing enables you to track behavioral trends of your existing customers – creating a ‘sticky’ presence for your brand and right audience for your brand. Opting for engaging banner ads as a bait to the remarketing audience is essential. Our experienced team of marketing, advertising & branding professionals will plan, build and optimize your remarketing ad campaign to generate great ROI at the lowest possible cost per click. We also provide expert advice, help, and improvements for your display and remarketing campaigns.